18 watts of power equals 72 watts of incandescent light output. Commonly used for reading lamps, floor lamps. 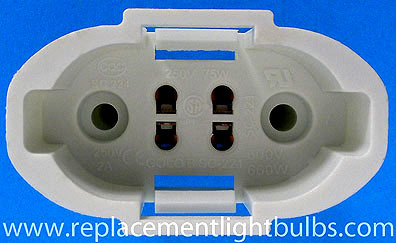 You can order this socket for this lamp here.